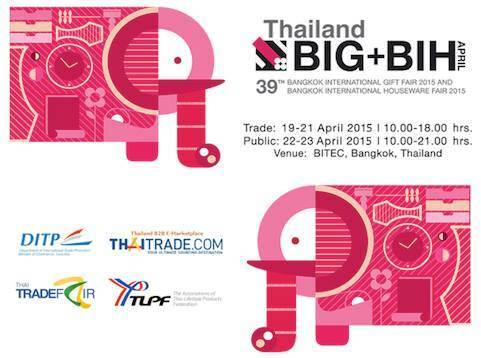 The Department of international Trade Promotion in collaboration with Thai Lifestyle Products Federation are pleased to invite you to the Bangkok International Gift Fair and Bangkok International Houseware Fair 2015 (BIG+BIH 39th Edition). 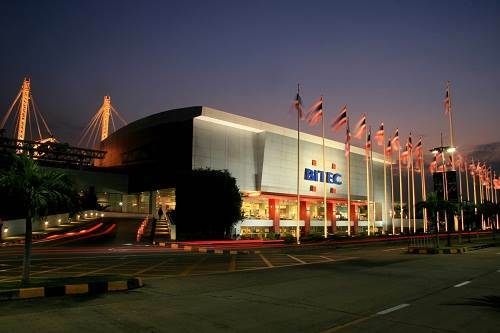 Where comlete ranges of stylish designed, export-quality gifts and housewares from leading Thai and international manufactures/exporters converge to dazzle you. Update the lastest trend in lifestyle products before anyone at BIG+BHI 2015 and strike attractive deals with over 500 lifestyle-product exhibitiors from Thailand and abroad occupying 1,600 booths over 40,000 square meters of exhibit space.